Wood box, jeweled border, sankyo music player, holds 3.5" x 5" photo. This ornate jeweled-border music box makes a beautiful gift. Maid of Honor photo insert can be replaced with your own photo. 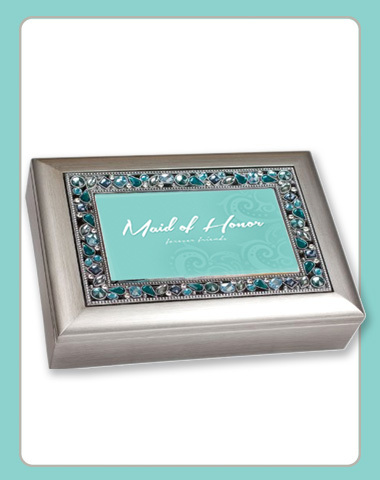 This music box is a special gift to the Maid of Honor.